Studies on the Church of Santa Maria delle Grazie in Milan generally focus on two subjects: Leonardo's Last Supper located in the monastery refectory and the patronage of a ruler of Milan, Duke Ludovico il Moro (1452-1508). Thus it is refreshing to come upon a collection of articles that discuss this important Dominican institution from other perspectives focusing on the period between its foundation and the sixteenth century. Buganza and Rainini's excellent collection of essays challenges the traditional approaches and provides us with outstanding insights into the historical development of the monastery, its main leaders, its intellectual and spiritual life, and its particularly fascinating artistic developments. 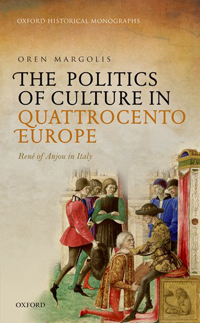 The book comprises papers presented at a 2014 conference held in Milan in the Dominican Cultural Center (Centro Culturale alle Grazie) and in the Catholic University of Milan (Università Cattolica del Sacro Cuore). The theme of the conference was Santa Maria delle Grazie: Una Storia dalla Fondazione a metà Cinquecento/The Church of Santa Maria delle Grazie in Milan: A History from Its Foundation till the Mid- Sixteenth century. 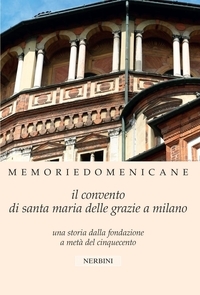 The proceedings are included in a themed volume of the Dominican journal, Memorie Domenicane. 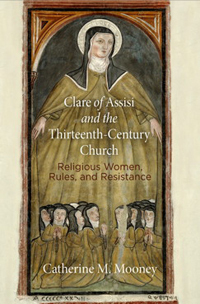 Many of the conference participants contributed essays to the collection, which has resulted in a cohesive volume that explores the monastery's institutional, intellectual, and artistic history. The volume includes a brief introduction and twenty-three essays. The first section, Fondazione e Istituzioni fra Politica e Religione, which includes essays by Zarri, Fasoli, Covini, Nocentini, Canobbio, and Zardin, is devoted to the institutional history of the Milan monastery and to the network of convents and churches in Lombardy. Major topics discussed are the complex relations between the patrons and the religious community and the influence of the civic authorities on the developments of the convent. The first article provides an important survey of studies on Observant reforms and current scholarly interests (Zarri). 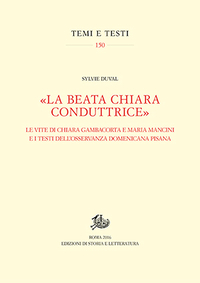 Other articles examine the influence of the civic authorities in establishing the convent (Fasoli); the role played by the founder of the convent Gaspare da Vimercate (Covini); the significance of the Dominican Ambrogio Taegio and his spiritual treatise The Life of the Blessed Colomba da Truccazzano (Nocentini); the Santa Maria delle Grazie convent within the context of Dominican institutions in Milan (Canobbio); and the later development of the convent in the sixteenth century (Zardin). These articles are based on archival research and present recently discovered documents that shed new light on the convent's history. The usage of a comparative approach and the attempt of placing the convent in the wider context of Milan and in Dominican tradition is particularly fruitful. The next section, Teologia e Letteratura alle Grazie, with essays by Fumagalli, Festa, Romagnoli, Rainini and Petoletti explores the intellectual activities in the convent. 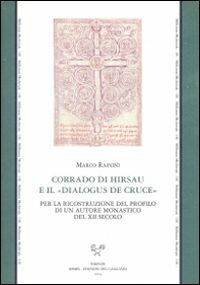 Specific case studies illustrate its rich literary and theological input as in the polemics between the Franciscan Francesco da Mozzanica against the Dominican Vincenzo Bandelli on the theory of Mary's Immaculate Conception (Fumagalli). 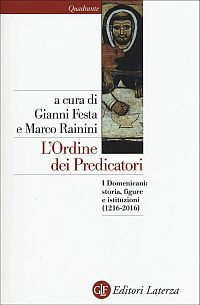 Other studies focus on Isidoro Isolani's sixteenth century treatise advocating the devotion to St Joseph (Festa); on religious women in the convent with special emphasis on the abbess Arcangela Panigarola (Romagnoli); on prophetic works in the convent especially on the theological apocalyptic works of Isidoro Isolani (Rainini); on the library of the convent (Petoletti). 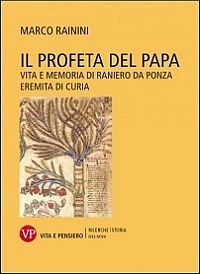 These articles present unpublished works of the friars and nuns active in Santa Maria delle Grazie and illuminate the theological and cultural features of the vast literary production produced there. The Dominican convent and church were established through the patronage of the Duke of Milano Francesco I Sforza. The main architect was Guiniforte Solari who designed the convent that was completed in 1469. Duke Ludovico Il Moro decided that the Church of the convent would serve as the Sforza family burial site and rebuilt the cloister and the apse that were both completed after 1490. The design of the apse of the church has been attributed to Donato Bramante, who at the time was in the service of the Duchy. In 1543, a Titian altarpiece depicting Christ Receives the Crown of Thorns was installed in the Chapel of Holy Crown, located on the right side of the nave. The painting, taken by French troops in 1797, is now in the Louvre. Other works of art include the Stories of the Passion by Gaudenzio Ferrari, a fresco by Bramantino, and frescoes by Bernardo Zenale. During World War II, on the night of 15 August 1943, an Anglo-American aerial bombardment hit the church and the convent. Much of the refectory was destroyed, but some walls survived, including the one that holds The Last Supper, which had been sand-bagged in order to protect it. The third and largest section of the book, Architettura e Arti Figurative, which includes essays by Rossetti, Rossi, Schofield-Gritti, Buganza, Ramusino, Gallori, Villata, Cairati, Morscheck, Quattrini, Sacchi and Villa focuses on the architecture and art of Santa Maria delle Grazie. It is refreshing that only one article is on Leonardo's Last Supper while the other papers explore neglected and forgotten works of art connected with this impressive edifice of Lombard art. The topics of the article include: a reconstruction of the urban projects of Ludvico il Moro (Rossetti); the architecture of the convent within the Dominican tradition (Rossi); the role of the patron Ludovico il Moro in the planning of Santa Maria delle Grazie (Schofield and Gritti); the frescoes and graffiti of the convent (Buganza); the activities of the painter Giovanni Donato Montorfano (Ramusino); the Dominican iconography typical of the convent (Gallori); the works of Leonardo (Villata); the decoration of the side chapels (Cirati); the works of the sculptor Cristoforo Solari (Morscheck); the patronage of paintings (Quattrini); the artistic plan of the convent and various commissions (Sacchi); the restoration of the convent and its works of art (Villa). This section is accompanied by a rich appendix of images some in color providing the reader with an excellent source for examining the architecture and artistic program of the convent. It would have been helpful to include a concluding article joining the many important points and discoveries of the individual papers and drawing some general conclusions on the importance of the Santa Maria delle Grazie convent and church. Yet the articles are impressive in the breadth of their scholarship, in the various lenses they engage to examine the convent and church of Santa Maria delle Grazie and in their evaluation of the convent's impact on the city. All in all these essays offer us a rich picture of the centrality of this convent and church for understanding Dominican spirituality and the culture of Renaissance Milan.